As you know, the demise of The Companion Chronicles as an ongoing concern was a cause of great sadness around here — over the years it grew from a format I was somewhat sceptical of to one of the best vehicles for Doctor Who storytelling ever created. 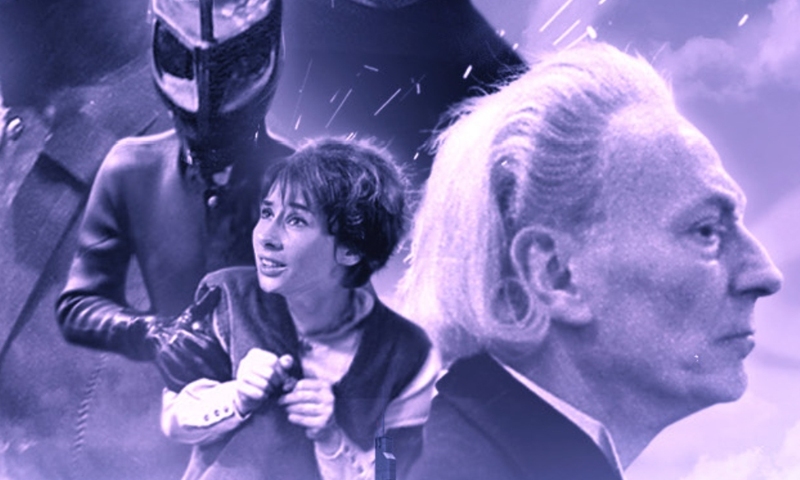 But now, Big Finish brings us Doctor Who: The Early Adventures, which seems designed to fill the 1960s-sized gap left by the end of both The Companion Chronicles and The Lost Stories. The format is pretty similar to that of the later 1960s The Lost Stories, actually: full-cast audio drama, with William Russell and Carole Ann Ford not only playing Ian and Susan, but doubling up as the Doctor and Barbara, and providing third-person narration to boot. The range begins with Andrew Smith’s Domain of the Voord, which in a world lacking The Oseidon Adventure would be a barrel-scraping monster return. I for one have never wondered a single thing about the Alien Voord from The Keys of Marinus, and I cannot imagine my opinion is an unusual one. But here’s a sequel to that story, and so here we are: the TARDIS lands on Hydra, amongst a fleet of ships, and the TARDIS crew soon discovers that the Hydran navy is being slowly picked off by the invading Voord. With the TARDIS at the bottom of the ocean, and the Doctor and Barbara missing, Ian and Susan must soldier on and hope they can make new lives. There are aspects of this that seem like they could work, and aspects that I am sceptical ever could have worked. From the first, I like the idea of Ian and Susan making it on their own, thinking they’ll never travel through time and space again, but the story never really does anything with it — for all that they supposedly think the Doctor and Barbara are dead, their emotional reactions never really go that far. There’s one admittedly quite good scene between them, but after that it feels like business as usual: Ian teams up with some locals for some resistance action, while Susan acts foolish. A great story could have been gotten out of Ian and Susan negotiating their relationship, but this isn’t it, and that’s disappointing from the writer who brought us the surprising emotional deftness of The First Sontarans. Then there’s the Voord — we learn more about them here. But I question whether what we learn is really all that interesting. Again, there’s some concepts with potential here, but I don’t think the story really exploits them, and what you end up with is just another aliens-invade-a-planet-while-the-TARDIS-crew-works-with-the-local-resistance story, stretched out to an utterly unnecessary four episodes. I dunno if it’s the narration’s fault per se, but I found this story a little stilted, like I was experiencing everything at a remove. Something about the narration, or the director, or the performances was off-putting. It can’t help that the guest characters aren’t very interesting: there’s a couple Voord with modulated voices, and a couple resistance members. I feel like “stock characters” is becoming an overused stock phrase in my Big Finish Doctor Who reviews, but it really is true here. There is nothing memorable about anyone the TARDIS crew meets in this play. There is also some weird descriptive dialogue: bad enough in most audios, but perhaps a necessary evil, but surely unnecessary in a narrated story. Susan narrates a Voord attack to a bunch of characters who are watching it with her! I do have praise for the sound work of Toby Hrycek-Robinson. From the creaking timbers of the Hydran ships onwards, the soundscape captivates, and I think his scores are one of Big Finish’s better attempts at recreating the aesthetic of the Hartnell era. I was happy to see Hartnell-era audio adventures would continue despite the cancellation of The Companion Chronicles, but Domain of the Voord did not capture what makes me like that era anywhere near as well as those Companion Chronicles did. Hopefully future releases in this series do better. Domain of the Voord (by Andrew Smith; starring Carole Ann Ford, William Russell) was released by Big Finish Productions in September 2014.